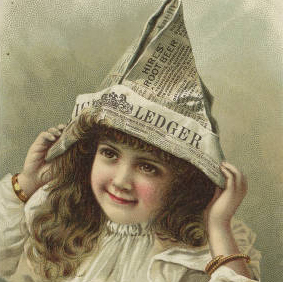 The C. Wayne Weart Apothecary Trade Cards collection includes late-19th century advertising cards from the private collection of Dr. C. Wayne Weart. The cards advertise pharmaceutical products, and typically feature colorful artwork on the front. The back of the cards usually had information about the product advertised and where it could be purchased. Some cards featured calendars or puzzles. Children, animals, and nature scenes were popular themes for the artwork. The cards range in size from 2 to 5 inches.